As the ice ages came to a close, the environment became warm and semi-arid. Water levels receded and water erosion decreased. Mass wasting, or slope movement resulted in a widening of the canyon and a steepening of the cliffs. An average 2 debris flows, or the funneling of water-laden masses of soil and rock in stream channels, occurs in the canyon a year. 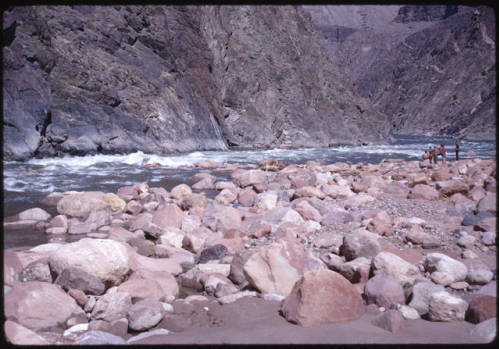 These come from tributaries and form or expand rapids. Crystal Rapids, Colorado River, Grand Canyon.